Pretty paper, the origami/scrapbooking type. 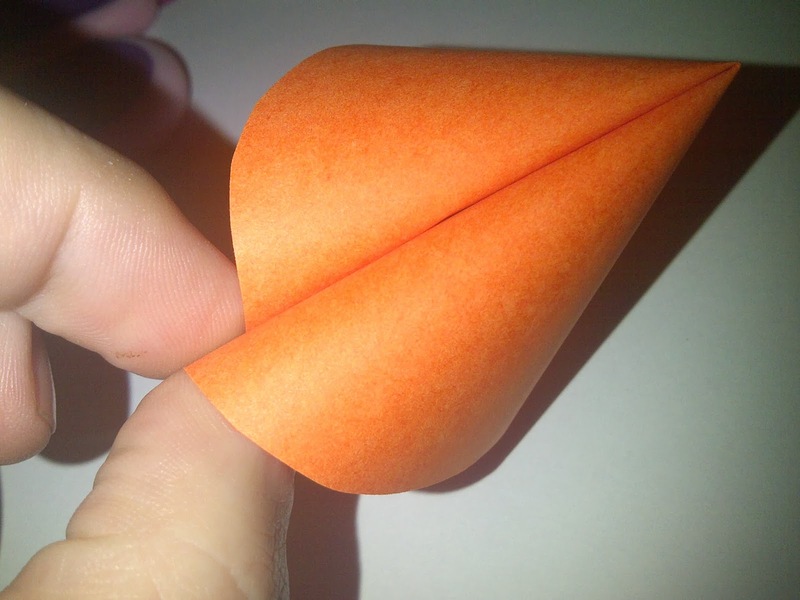 Glue dots or glue stick. 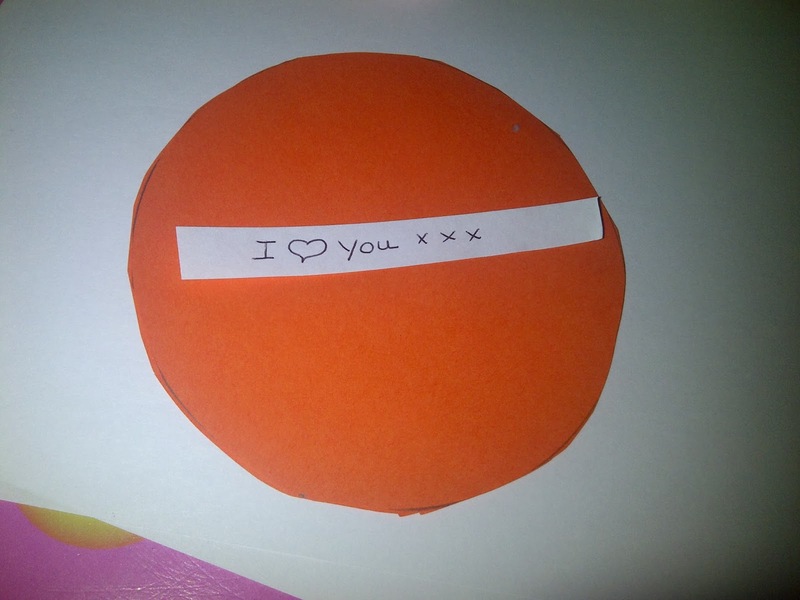 I love you, either written or printed out in the style of a fortune cookie. 1. Cut circles. 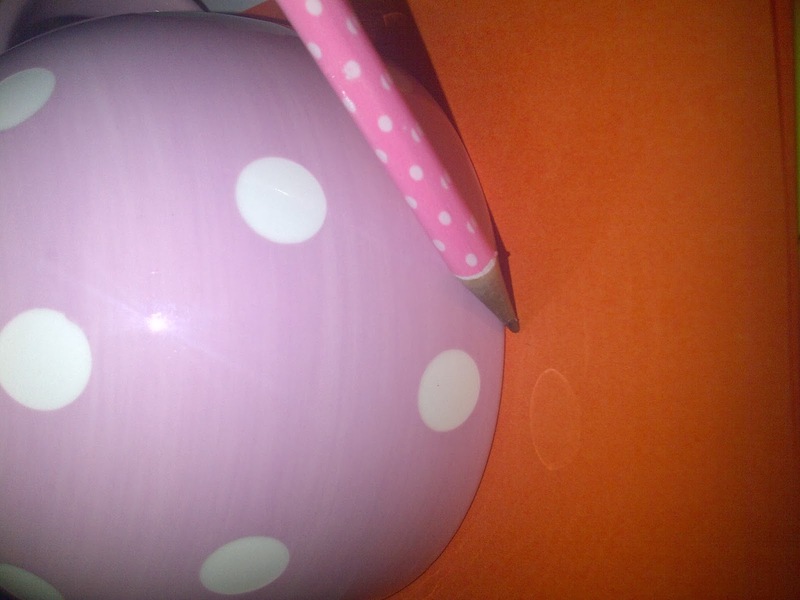 My circles have a diameter of 4.5 inches, but you could go smaller – down as small as 3 inches – with no problem. Find a saucer, bowl, Tupperware, or some other round object with a diameter of approximately 3 inches and trace it over and over and over. 2. 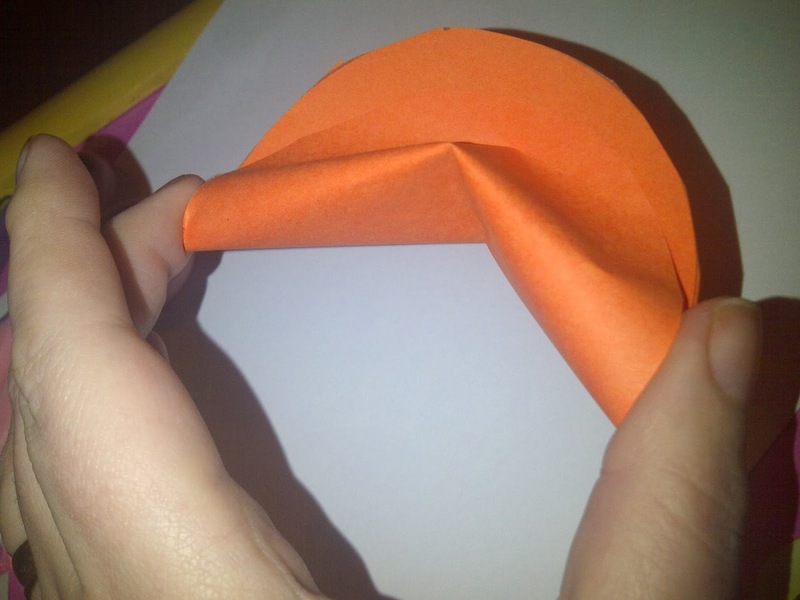 Fold one of the circles in half, but don’t crease it. Hold it shut at the edge where the two sides meet. Once you've made a few cookies, you’ll be able to put the fortune in at this step. 3. 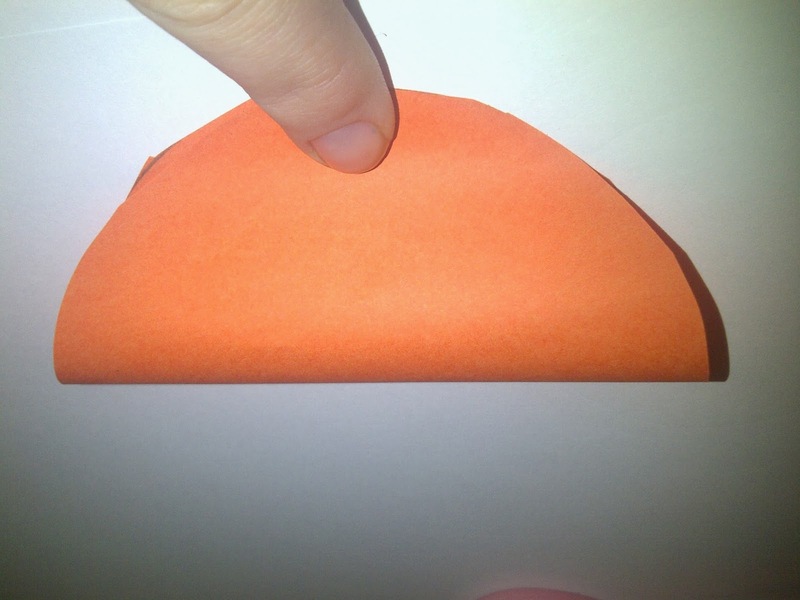 Using your other hand, grab the two “corners” – the places where you would have creased it if you were creasing it. Using your thumb and ring finger, gently pinch those two corners together, while pushing the centre backwards with your pointer finger. It sounds much more difficult than it is. 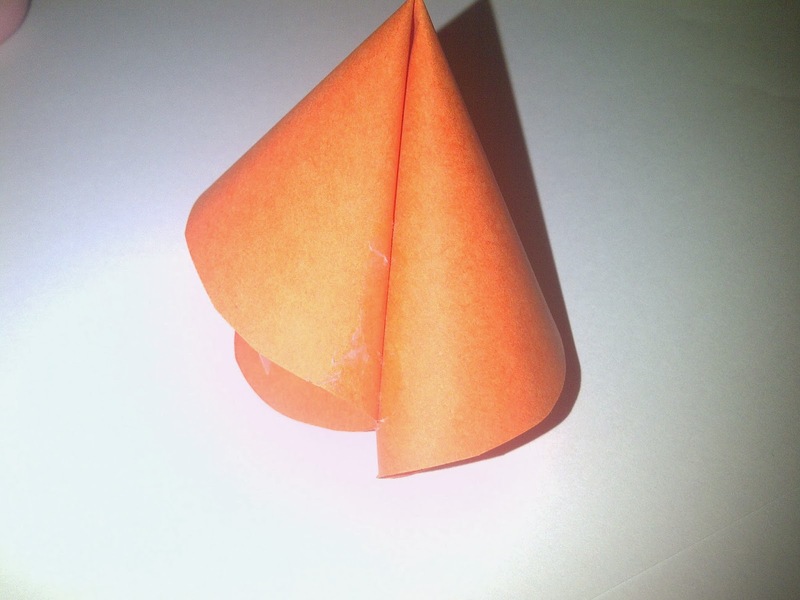 When you do this, one of the pieces will crease underneath the other piece (or, if you are holding it, they will form a crease with both edges in the same direction – both ways look nice, so it doesn't matter). Crease the centre a little on the outside. 4. Add a glue dot/dab of glue between the two ends of the cookie to hold them together. This is what will keep the cookie in the cookie shape. That’s it. 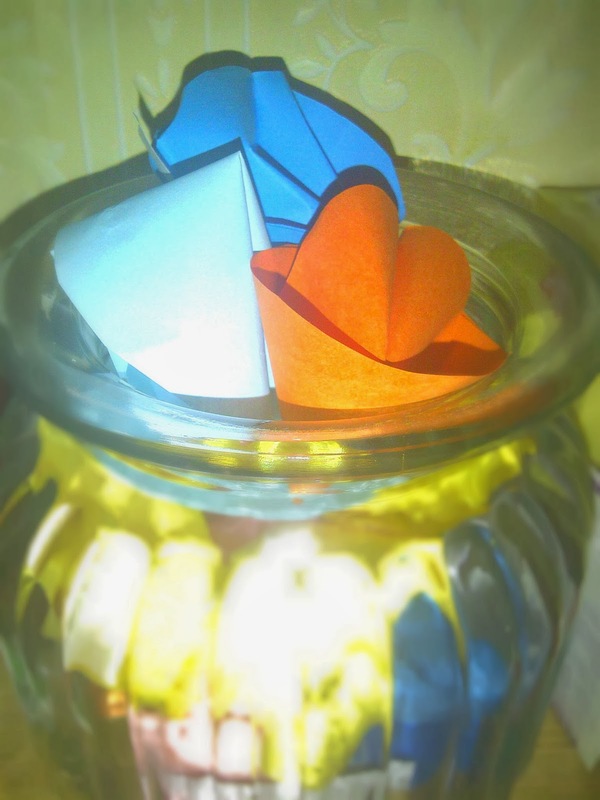 Your paper fortune cookies are done. Now repeat three or four dozen times and put them all in a nice jar or bowl.